Boeing told employees Monday there will be more job cuts in the new year. The jetmaker says it needs to reduce costs further in the face of intense competition and a flagging jet sales market. After a year when Boeing has relentlessly slashed costs and cut its workforce in Washington by more than 8 percent, there’s more of the same to come in the new year, the leaders of the commercial-airplanes unit told employees in an internal message Monday morning. The joint message from company Vice Chairman Ray Conner and the new chief executive of Boeing Commercial Airplanes (BCA), Kevin McAllister, cited a business climate with “fewer sales opportunities and tough competition” for the need to drive for further cuts in 2017. The job cuts will come through a combination of attrition, leaving open positions unfilled, and offering a voluntary buyout program in early 2017 that will give participants a week’s pay for each year of service up to a maximum of 26 weeks. Boeing spokesman Doug Alder said there is no specific target number of jobs to be eliminated. Through November this year, Boeing eliminated just over 6,600 jobs in the state. Conner and McAllister said all the units within the company are currently analyzing their 2017 budget and staffing plans, and soon will provide employees the details on which will be eligible for the voluntary buyouts. 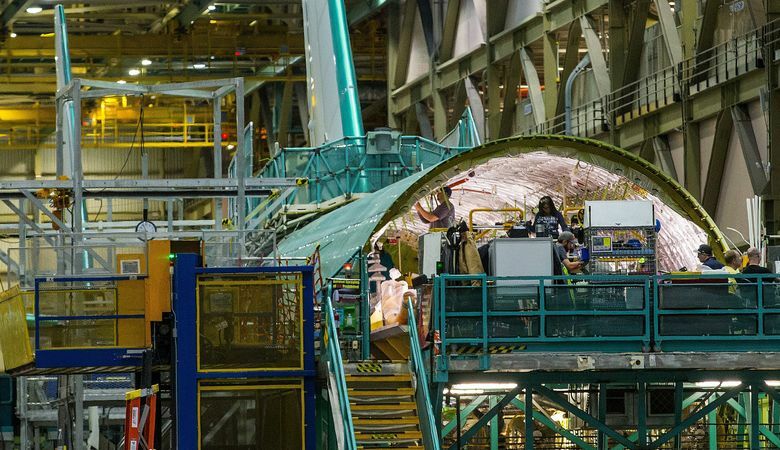 A week ago, Boeing announced that in August it will cut the rate of its 777 widebody jet from seven jets per month to five, which likely means job cuts on the final-assembly line in Everett and in Frederickson, Pierce County, where the 777 wing skins and spars are fabricated. Management’s message Monday euphemistically attributed the need for the 777 slowdown to a “near-term hesitation” in sales of the large jets. Boeing has won just 17 net orders of the 777 this year, when it had a sales target of 40 to 50. Conner first announced in February this year, when he was the BCA chief executive, that thousands of jobs would have to be eliminated in 2016. In the message Monday, he and McAllister noted that while more than 8 percent of the workforce has been cut since then, the ranks of executives and managers were cut by 10 percent. In addition, Boeing has continued to squeeze savings out of its supply chain by demanding price reductions from suppliers, which has sent the impact cascading down to aerospace companies throughout the region. This month, a company in Portland lost its contract to paint Boeing jets. A French company coming in with a lower bid for the work may rehire most of the 186-strong workforce, though likely at lower rates of pay and benefits.